The Braves have made a number of releases, but only Nick Swisher drew much coverage yesterday. Here’s some other cuts the Braves have made recently. These cuts have either been taken from the league transaction pages at the official sites for each minor league or a tweet shared by Bill Shanks today. 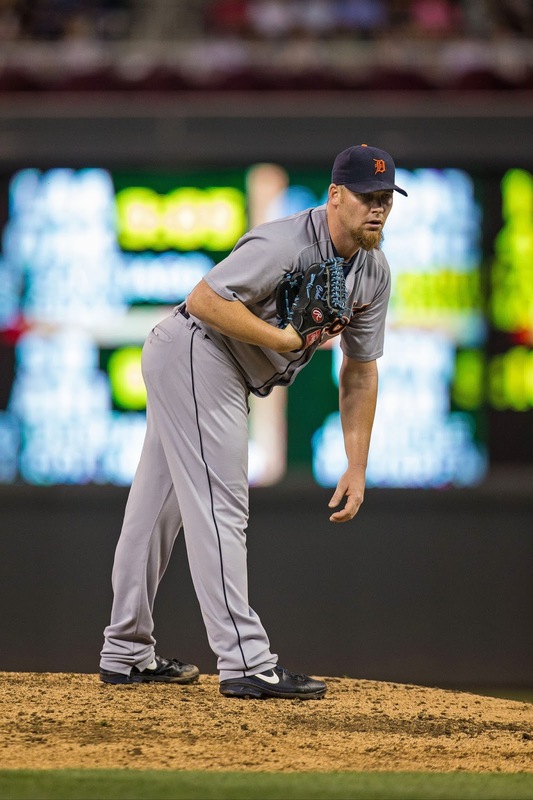 P Phil Coke – A mid-spring signing, Coke’s career with the Braves was over before any of his ultra-successful jerseys could be put up for sale. A LOOGY who wasn’t a great LOOGY to begin with, Coke is the kind of guy teams like the Braves get desperate for and hope he builds some trade value. Apparently, they had second thoughts. P Dakota Dill – The Sul Ross State University alum (which we all know is in Texas) was a 26th rounder in 2013. He missed 2014 with injury and just never impressed enough out of the bullpen despite pretty good strikeout numbers (9.3 K/9). Like many on this list, he was probably a bubble player entering spring who wasn’t good enough to move up the chain, but too old to keep around. 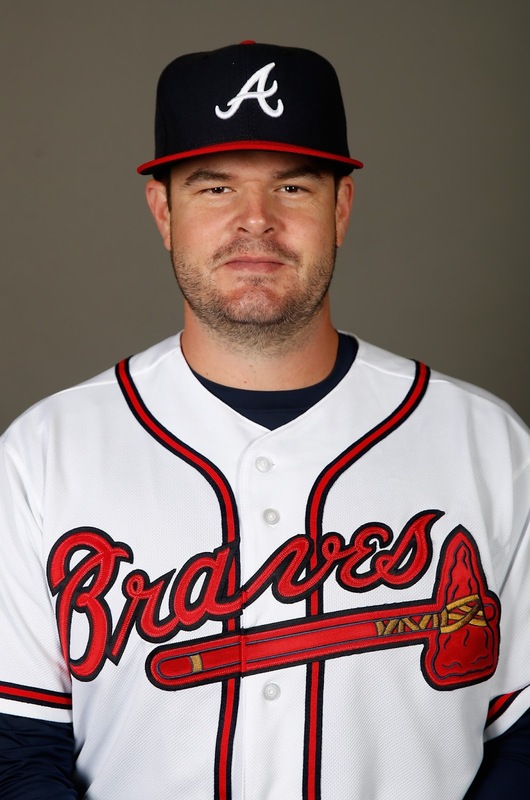 P Sean Furney – The Braves acquired Furney at the end of spring training last year for cash considerations with the Diamondbacks, but unlike many trades Atlanta has completed with Dave Stewart, this one won’t be very notable. Furney spent 2015 with Rome and Carolina and the 24 year-old was just okay. A former undrafted free agent, Furney doesn’t have the control needed to strikeout so few (5 K/9 last year). P David Holmberg – A minor league free agent who appeared in two games this spring, Holmberg has been woeful in the majors over the last three years. Yes, it’s only 62 innings over 14 games, but a 7.92 FIP is impressive only because of the level of ineptitude it requires. Holmberg was a “let’s see” guy who didn’t pan out. P Ben Libuda – First 2015 pick from this list. Drafted in the 26th round last June out of Worcester State College, Libuda appeared in 16 games with both rookie-league teams last year as a reliever. The results were pretty ugly (nearly a WHIP of 2.00) and the Braves didn’t see enough this spring to keep around the nearly 23 year-old. P Ethan Martin – For Martin, it was a chance to come home (he was born in Athens, GA). However, it never materialized into regular season games. Formerly the #59 prospect in Baseball Prospectus’s 2009 Top 100, Martin was a lot of potential, but next to zero positive results. The former 15th overall pick has a career minor league ERA of 4.48 and a shift to the bullpen in 2014 only helped him moderately. He has logged 44 innings in the majors between 2013-14, but surrendered ten homeruns for the Phillies during his run. P Monte Reese – An undrafted free agent from Thomas University in Georgia, Reese appeared in only two games in the Gulf Coast League last summer. Already 24, the Braves probably felt he didn’t fit into their Danville Braves plans. P Ian Stiffler – The second pick on this list from the 2013 draft. Selected in the seventh round, Stiffler has been a big disappointment for Atlanta so far. He’s only pitched 24 times over three years and had not made his Low-A debut yet. This spring was likely a sink-or-swim moment for Stiffler and he certainly didn’t swim. He takes his career 6.38 ERA with more walks than strikeouts into the land of free agency. P Blair Walters – Formerly of the Chicago White Sox and Houston Astros organizations, Walters joined the Braves in 2014 after starting the year in the independent Frontier League. A solid starter for both Lynchburg in ’14 and Carolina in ’15 (2.33 and 3.13 ERAs), Walters was a placeholder who made his minor league team better by being a consistent arm, but was not considered a prospect. C Alejandro Flores – A filler player at the end of the bench, Flores has made stops in the DSL, GCL, and Appy Leagues over the last three years with a .210/.294/.305 slash to show for it. Like many on this list, the Braves may have felt Flores would either have to make the Rome Braves roster or get cut. Obviously, the latter happened. 1B Jeff Campbell – Like Reese, Campbell was an undrafted free agent who signed with the Braves last summer. A 1B/DH, Campbell hit .277/.303/.372 over 26 games (plus an inning as a pitcher). He’ll turn 24 the day after Independence Day and the Rome Braves roster is a tough one to make. 1B Tanner Krietemeier – Drafted out of Oklahoma State in the 23rd round of the 2014 draft, Krietemeier hit one homerun in 409 plate appearances over the last two years. That’s just not what you want to see from a first baseman. 1B Jordan Lennerton – Atlanta picked up Lannerton last year out of the Tigers organization. He posted some decent years there, though he was often old for his level when he was successful. 30 years-old, Lannerton was a bubble guy this spring after watching the players the Braves added on minor league deals for Gwinnett. 3B Jake Lanning – Atlanta’s 24th round selection last June, Lanning split time between second base and third base last summer with Danville and actually wasn’t terrible (.273/.345/.341). The Holy Cross College alum is an example of how little time late-round college guys are given to perform. Already too old to stick around in rookie leagues, they have to get their career jump-started or risk a release. Apparently, the Braves saw all they needed out of Lanning. 3B Dylan Manwaring – With good size and a baseball pedigree, Manwaring was a ninth round pick in 2013. The son of former Giants catcher Kirt Manwaring, Tony DeMacio told Eric Single of MLB.com that the younger Manwaring “can hit…he’s got power.” Over three years in rookie ball, Manwaring would hit .157/.270/.207 with 105 strikeouts in 330 PA. His power led to one homerun. Another swing-and-a-miss for the high floor, low ceiling DeMacio years. OF Jose Morel – Formerly a good international signing for the Braves, Morel played in just eight games above rookie ball in five years. He did hit well for Danville last year, but even a .313/.372/.390 slash is pretty empty when it includes one homerun and three steals in 54 games during your FIFTH year in rookie ball. Morel failed to make the Rome roster and the Braves cut bait. It’s unlikely Atlanta is finished with their cuts so I might do a follow-up to this column when the minor league rosters are announced in about a week or so.